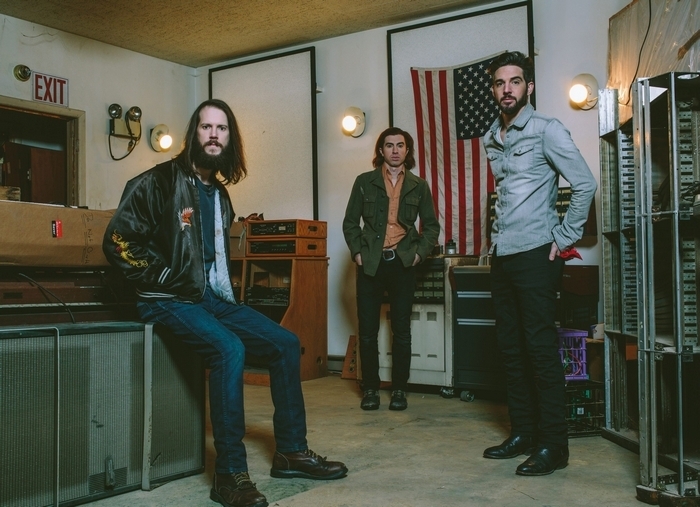 The Whigs will play the Waiting Room on Sunday. The Whigs don’t mess around. The Athens, Ga.-born trio firmly believes in a trusty credo demanding that rock ’n’ roll be urgent, primitive, rollicking, raw and preferably, captured live in a warts-and-all format. For the band’s new album, “Modern Creation,” out this week, Tom Petty/Wilco producer Jim Scott was enlisted, the band recorded 10 tracks live off of the recording studio floor, mixed them down, and voila – rock ’n’ roll, like they used to make it before recording meant enlisting 12 different producers, 17 different co-writers, and an infinite number of digital overdubs. Of course, it helps if you have great material when you’re tracking live in the studio, because raw power is raw power, but it’s worthless if not displayed in service of something meaningful. “Modern Creation” is long on spirit, but it’s also long on songcraft. Fans of the Black Keys and the Hold Steady, for example, will appreciate the blend of fire and finesse that marks the present-day Whigs. The band is already out on the road in support of “Modern Creation,” and will arrive for an all-ages show at 7 p.m. Sunday in the Waiting Room (334 Delaware Ave.). Nikki Lane and Fictitious Ray will open. Tickets are $13 (Ticketfly.com).